Let’s keep our children safe and keep harmful ingredients out of our beauty products. 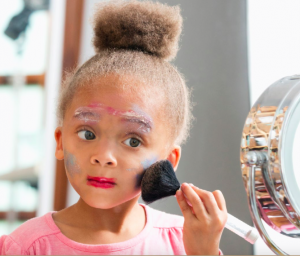 A new report released by the Breast Cancer Fund and spearheaded by the “Campaign for Safe Cosmetics” has just released some scary facts – there are toxic chemicals in kids’ cosmetics and face paints. How can this happen? Because although most people assume the FDA regulates cosmetics and personal care products in the same way it does food and drugs to ensure they’re safe, it does not. The only safety law on the book for the cosmetic industry is 75 years outdated! Sadly, cosmetics are one of the least regulated consumer products on the market today. And yes Halloween only comes once a year, but the damage does not stop in October. Younger and younger kids are using makeup and face paint, contributing to exposures linked to breast cancer and other later life diseases. According to data supplied by Environmental Working Group, Americans use an average of 10 personal care products each day, resulting in exposure to more than 126 unique chemicals. Chemicals like – lead, cadmium, toluene, parabens, formaldehyde, and ethoxylated ingredients. Contaminants that are linked to breast cancer, kidney cancer, lung and prostrate cancer, not to mention other harmful conditions. Kids’ face paints can be contaminated by heavy metals, including lead and cadmium. Lead causes altered brain development and learning difficulties, while cadmium disrupts the body’s hormones. Children are highly vulnerable to the effects of toxic chemicals during critical windows of development, and because teens account for a growing segment of the estimated $71 billion cosmetics industry, they are subjected to these harmful ingredients a long time, leading to future health issues. The secret, often toxic, ingredients in “fragrance” don’t have to be labeled – a serious problem because 40% of the cosmetics and personal care products on the market today contain fragrance. That’s why at in Harmony Naturals we only use therapeutic grade essential oils; oils that are natural and good for you. Heavy metal concentrations are higher and more common in darkly pigmented paints. Learn more in this full report and consider using the safer alternatives available at in Harmony Naturals. Consider using products like 100% mineral makeup instead of face paints, vegan lip glosses for color instead of the unregulated products you will find in the kid’s aisle, and cleansers and moisturizers that only use pure, clean ingredients. We need your help to get out the word. Education is power. So please share this information with others. 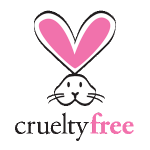 Previous post: Why Choose Gluten Free Beauty Products?